[패턴영어] Why do we + 동사 + on + A? Why do we + 동사 + on + A? 성페트릭데이에 왜 초록색으로 입는 거야? 할로윈데이에 왜 호박을 파는 거야? 결혼식 날에 왜 우는 거지? Why do we cry on wedding days? Why do we propose on Valentin’s Day? 정해진 날에 왜 특정한 음식을 먹는 거야? Why do we eat certain foods on certain days? 비 오는 날에 왜 우울해 지는 거야? Why do we get the blues on rainy days? 생일날에 왜 선물을 주는 거야? 일요일에 왜 늦잠 자는 거야? Why do we sleep in on Sundays? 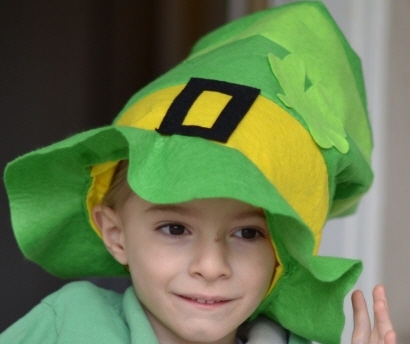 A: Why do we wear green on Saint Patrick’s Day? 성패트릭데이에 왜 초록색으로 입는 거야? B: It’s the national color of Ireland. A: Why do we cry on wedding days? 결혼식 날 왜 우는 거지? B: That’s what I’d like to know. A: Why do we eat certain foods on certain days? B: It’s a seasonal thing. 계절에 따라 그렇게 하는 거지.